Ireland is an incredibly beautiful part of the world to visit, but it is also a foodies’ paradise. The stand out star for me has to be the seafood. 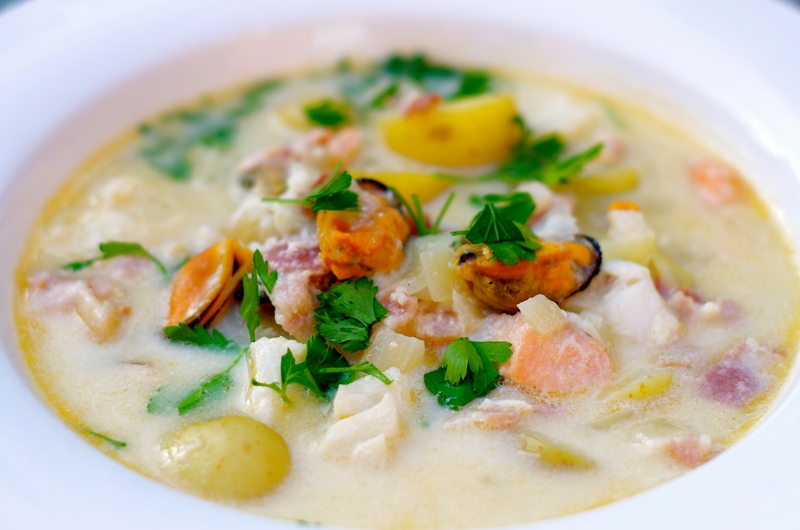 Despite Ireland being an island, it is only recently that seafood has started to be featured in Irish cooking. From what I encountered during our holiday you would have thought they had been doing this for centuries. 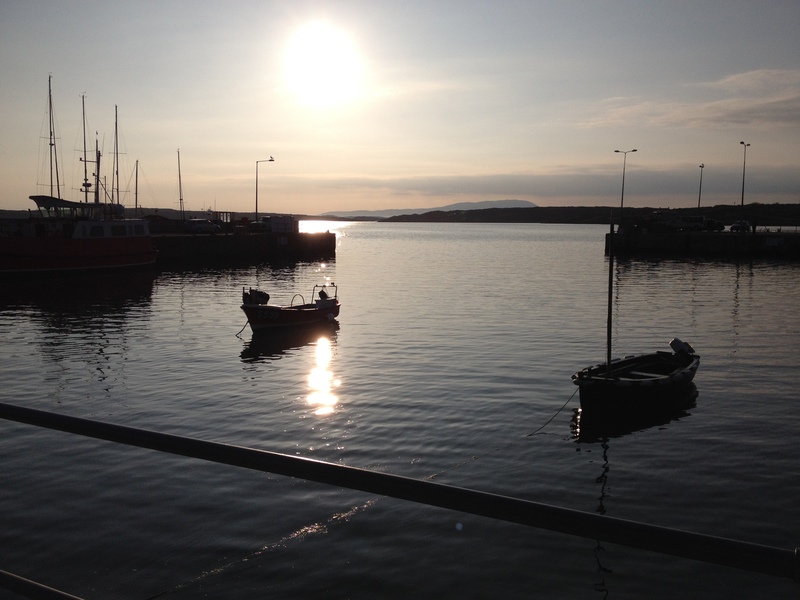 West Cork with its many small harbours is famous for offering its guests some of the finest fish and seafood in the world. My husband and I ate fresh fish and seafood almost every day of our ten-day holiday, never tiring of it. The best bit is that you do not need to visit a 5-star restaurant either. Small village pubs, tiny cafes and farmer’s markets all serve up amazing seafood in an unpretentious atmosphere. 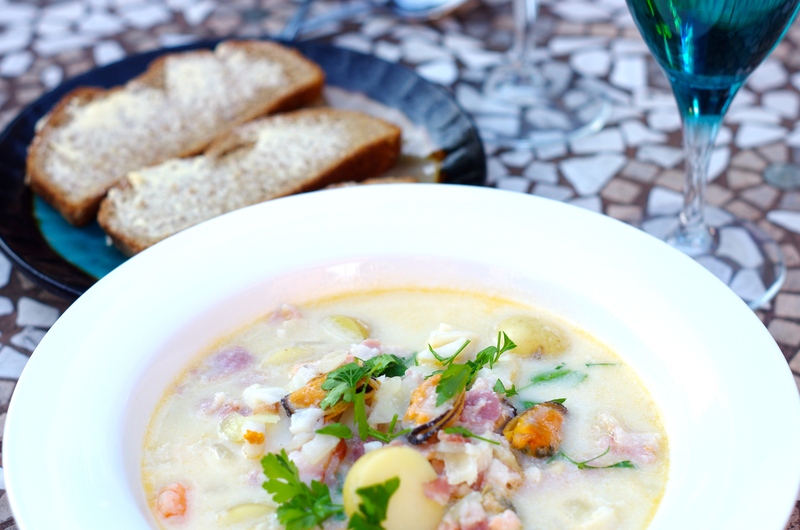 The most delicious seafood chowder we had during the holiday was in a tiny cafe in Cape Clear, Ireland’s most southerly community. We stopped here on a whale watching tour that we booked with Whale Watch West Cork. During our tour we were lucky enough to see Minke Whales, harbour porpoises, common and grey seals. It is possible to see Risso and Bottlenose Dolphins, Killer whales, Turtles, Blue and Basking sharks in West Cork depending on the conditions and the time of year. We saw many species of marine bird life from Gannets, Cormorants, Skuas, Shearwaters, Guillemots and Razorbills. The tour began in the picturesque harbour of Baltimore and lasted around 4 hours stopping at North Harbour on Cape Clear for refreshments half way. The tour was led by Nic Slocum a zoologist whose passion and enthusiasm for marine life and great sense of humour made it an experience we will never forget and would highly recommend to other people. The scenery on the return journey along the West Cork coastline and around the islands was just breathtaking. With castles, harbours and inlets that have changed little since the days of the old clan chief’s of O’Mahoney and O’Driscoll. One of the best bits for me about West Cork is it is not overrun with tourists like Devon and Cornwall are. A woman on our what watching tour described West Cork as ‘heaven on earth,’ and I couldn’t agree with her more! Ireland’s ocean eats rival any coastal nation and in my humble opinion they come out on top! 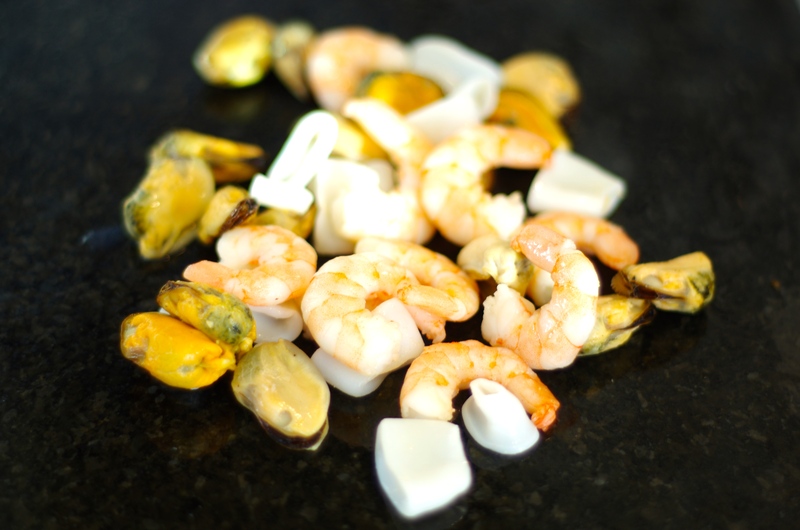 250g mixed seafood – prawns, mussels and squid. 1) Cook garlic, onion and bacon in a large saucepan for 8-10 minutes until bacon is cooked. Stir in flour and cook for a further 2 minutes. 2) Pour over the fish stock and gently simmer. Add the potatoes, cover the pan and simmer for another 10-12 minutes until the potatoes are tender. season with salt and pepper. 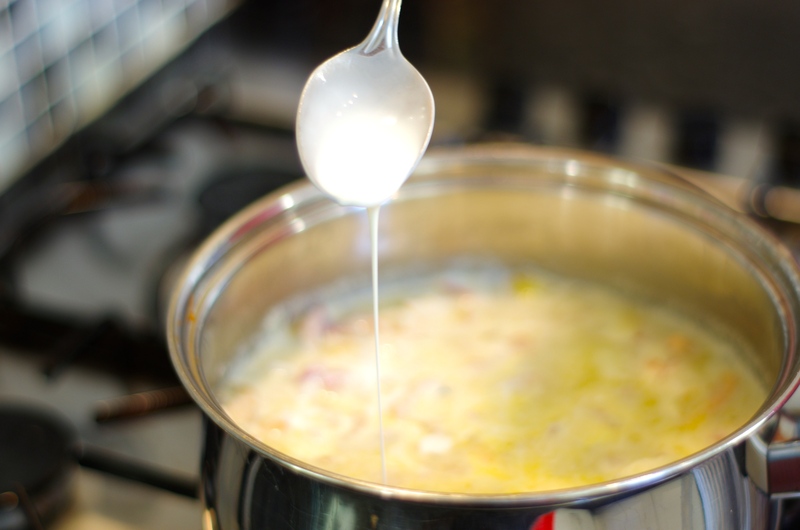 3) Stir in the milk. Add the chopped fish to the pan and simmer for 4 minutes. 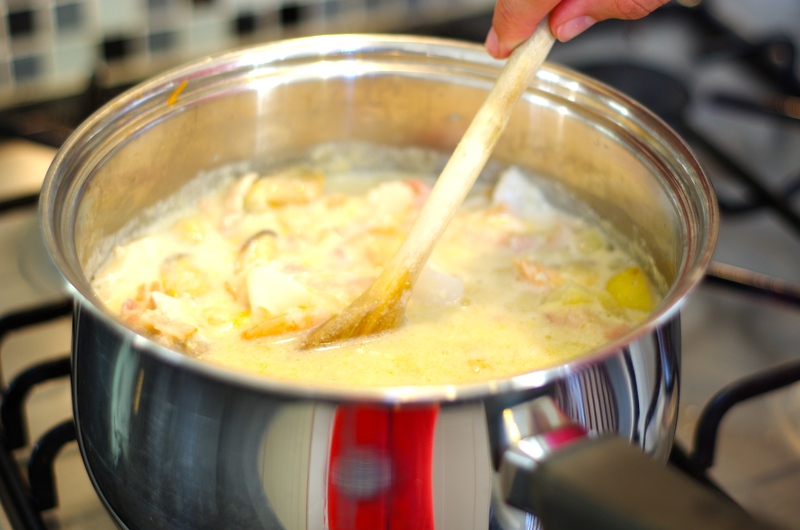 4) Add the mixed seafood, drizzle over the cream and simmer for 1 more minute. 5) Ladle into serving bowls. Sprinkle with parsley and serve with soda bread. Delicious! Your photos are stunning! I ate as much fish/seafood as I could in Ireland as well. Such freshness!!! Beautiful photos Emma and a mouthwatering chowder too. Clearly a hit if kitty likes it. Great recipe, I love it. 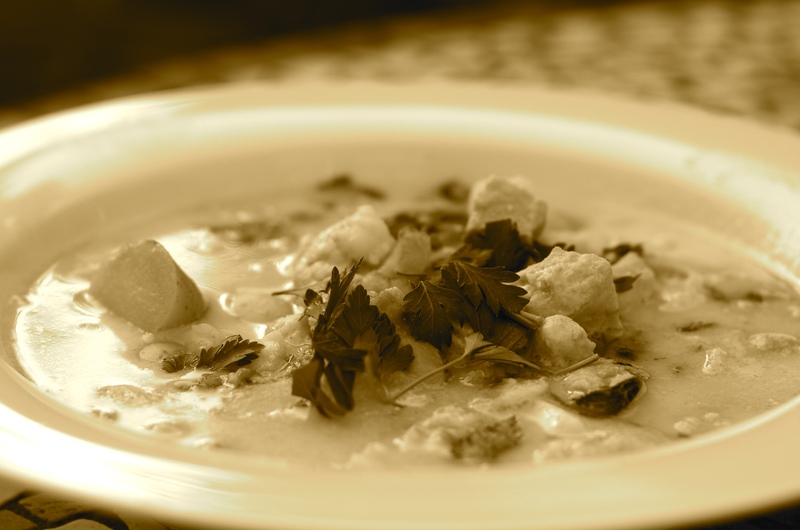 Your photos are terrific and your chowder sounds delicious. Having visited Ireland on more than one occasion and having sampled the food from Kerry to Galway to Donegal I can attest to the quality of the food, especially the seafood. Thanks and Goodonya! Thank you for your encouraging comments. Have a great week and I look forward to reading more of your blog and sharing ideas with you. Emma. 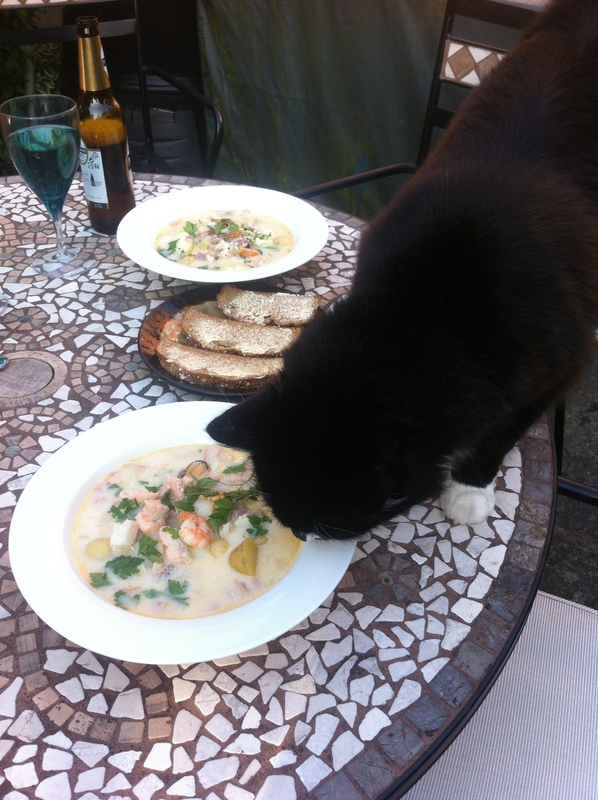 That chowder looks amazing! I would love to make that for my parents…living on the prairies but seafood lovers all the same.